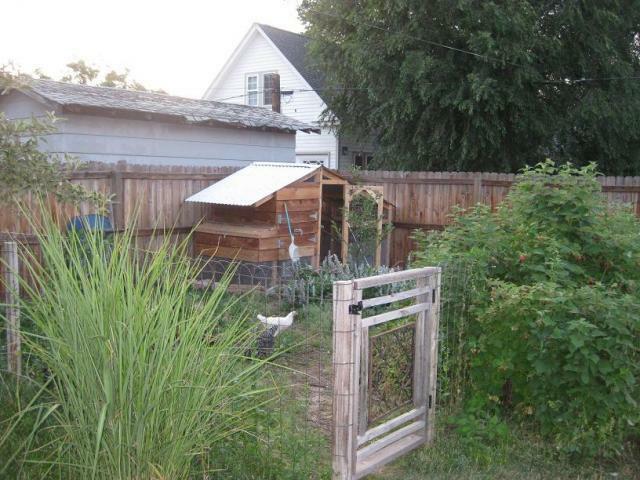 Hello Backyard Chicken Enthusiasts! 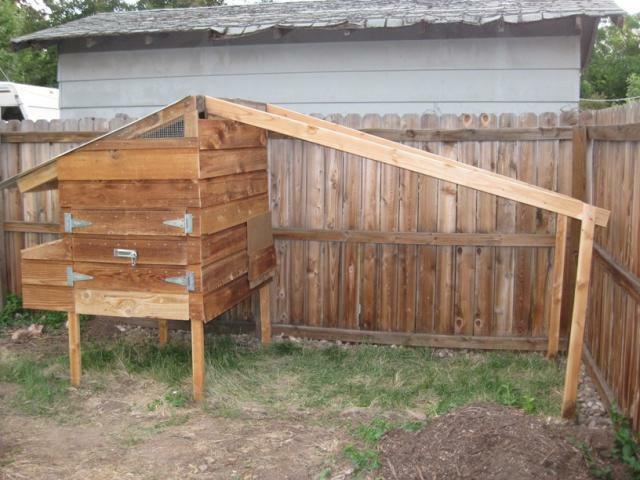 Here are a few pictures of our Colorado Coop - it turned out looking like an old miner's shack, which is okay with us - we're mining for golden yolks! Here is the basic 'bare bones' framing. I used 2x3s for most of the framing and 2x4s for the main roof supports. The floor is a 4' square piece of plywood I happened to have on hand, resulting in a total floor area of 16 square feet. 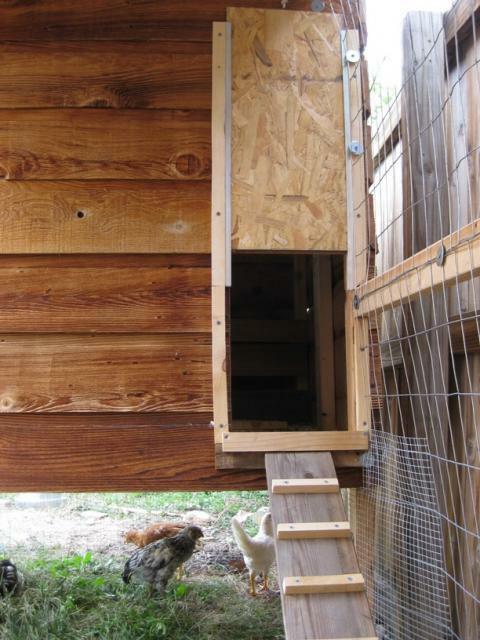 The vertical members are 6 and 5 feet with a 2 foot space under the coop. Siding going up - we were able to salvage some old weathered wood siding from a friend's house. 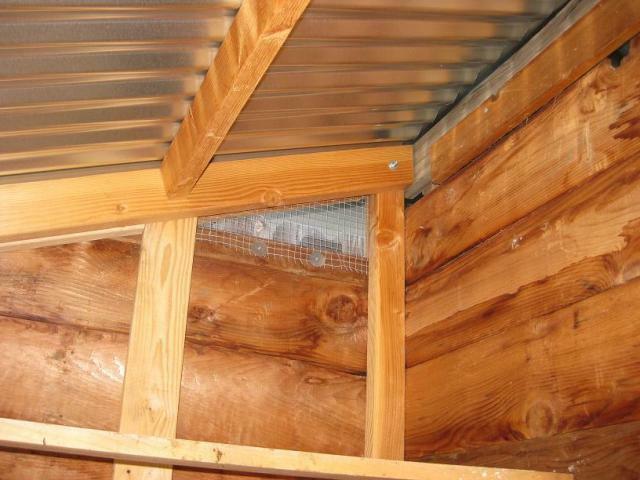 Here, I ended up extending the roof framing so it protects the nesting box better. A bit more work, but a good idea from my wife! Siding substantially complete and the roof is on! 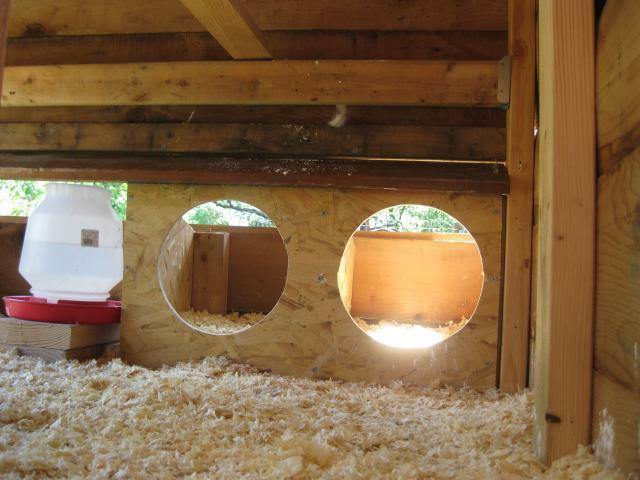 You can see one of my side vent windows (there is an identical one across) and the upper vent, which runs the width of the coop. 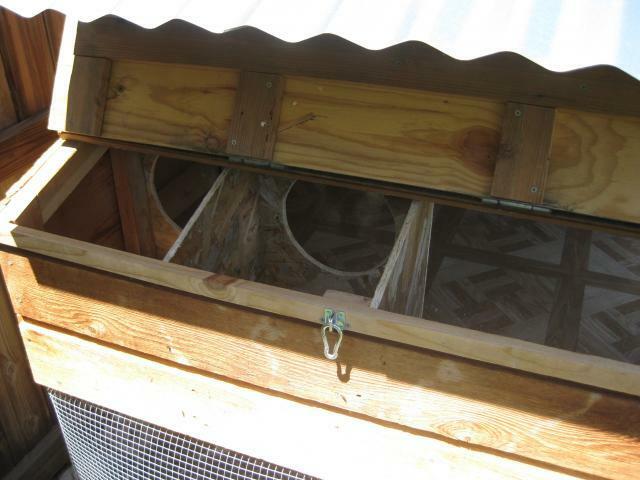 There is another 'upper' vent running along the back of the coop below the roof. Beginning of the framing for the run. You can't really see it, but I buried 2"x4" galvanized steel fencing about 20"-22" into the ground around the perimeter of the run. I put down landscape fabric and rock between the buried fencing and the wooden fence as we won't be able to maintain that area once the run is finished. Access doors for cleaning are on and latch installed. The run is prettty well done with the human access door. You can see I blocked off the nesting box area until later this summer. 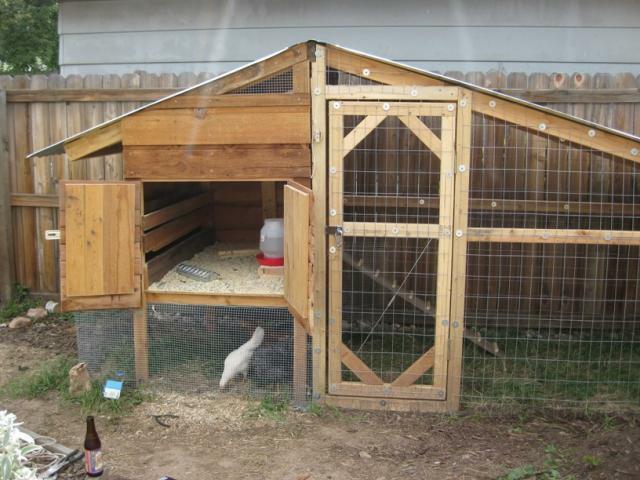 Also, to strengthen the coop access doors, I used 3/4" boards onto which I screwed the siding pieces. 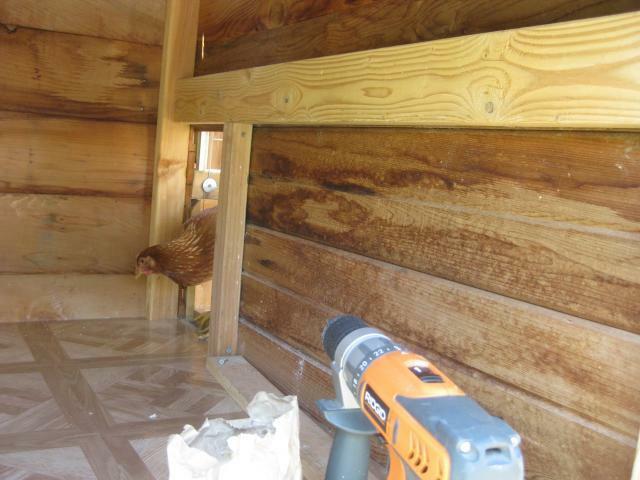 Sliding coop door for the girls. I ended up using 1/2" aluminum 'u' channel to guide the door. It seems to have worked pretty well. You can't see my pulley in this pic, but you get the idea. Hardware cloth installed and the whole thing is substantially complete. I ended up attaching the hardware cloth and upper fencing to the buried fencing with stiff wire twisted with vice-grips every 6 inches. 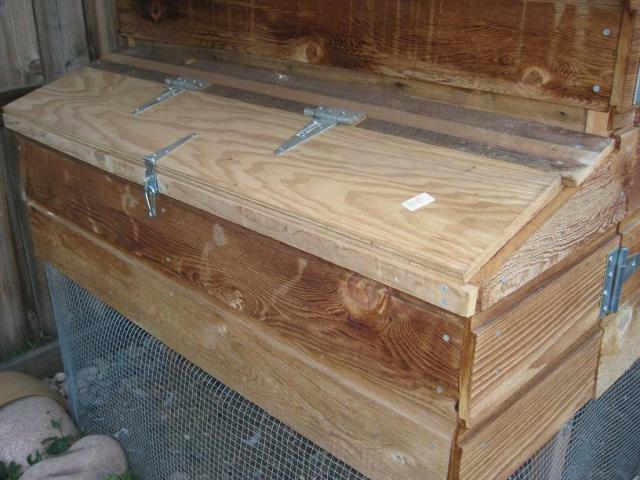 Only thing left to do is install a latch on the nest box door and finish out the nest boxes (later this summer). The girls look happy! 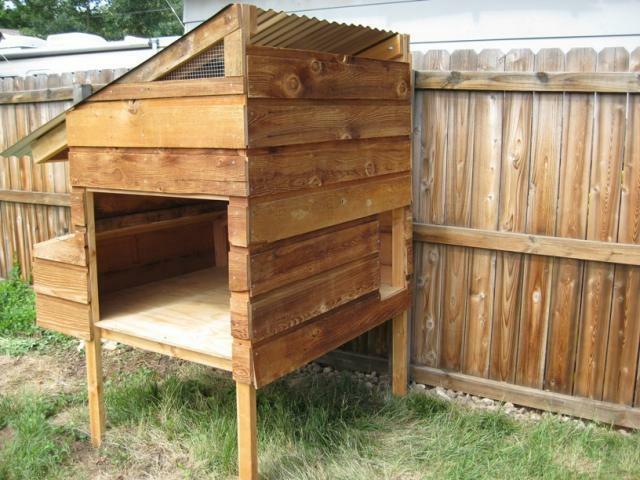 Here is our coop pretty much finished. 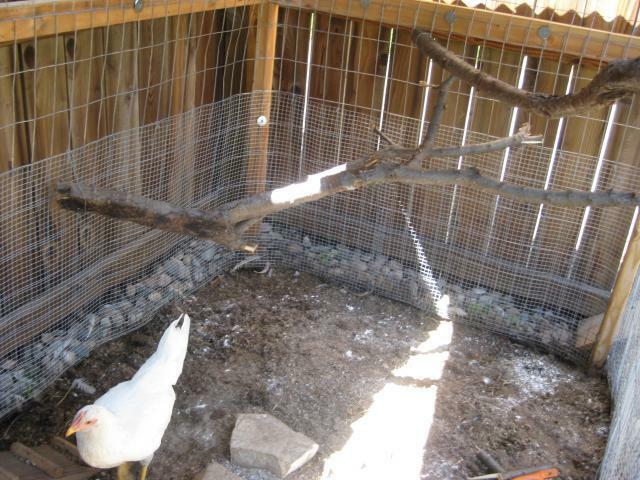 I still need to round up a nice limb for the girls to perch on in the run and I'd like to get a waterer out in the run. 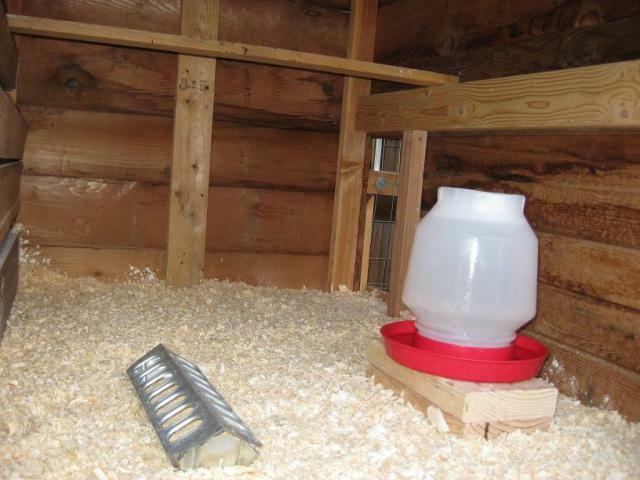 I still have their chick feeder trough in the coop with a one-gallon waterer. I hung a larger feeded under the coop. 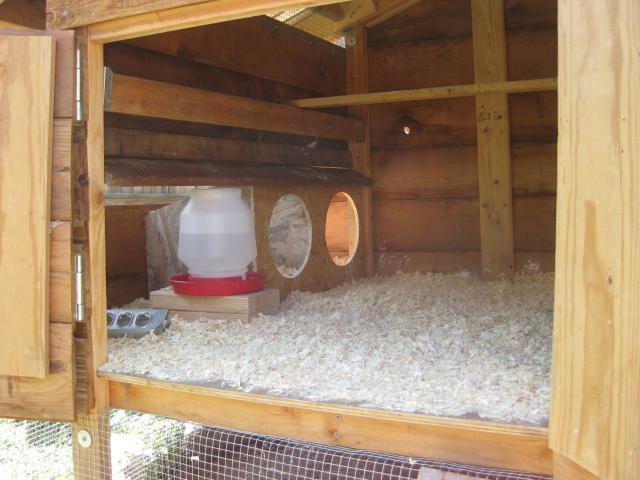 The girls didn't hesitate to go up and down the ramp and they migrate into the coop every evening. After a month or so of habitation, I thought I'd add a few more pics. Latch added to nest box for security - interior is still not finished. I'll probably do that towards the beginning of August - we're not expecting eggs until Labor Day. Here are two pics showing our coop venting. Perches in the run. I should probably reconfigure the one on the left to provide more level perching space. And finally, a shot from further out showing their larger chicken yard which they have access to when we're home - typically a few hours each evening and large portions of the day on Saturday and Sunday. They've really enjoyed spending lots of time underneath the raspberry bushes lately...I wonder why? 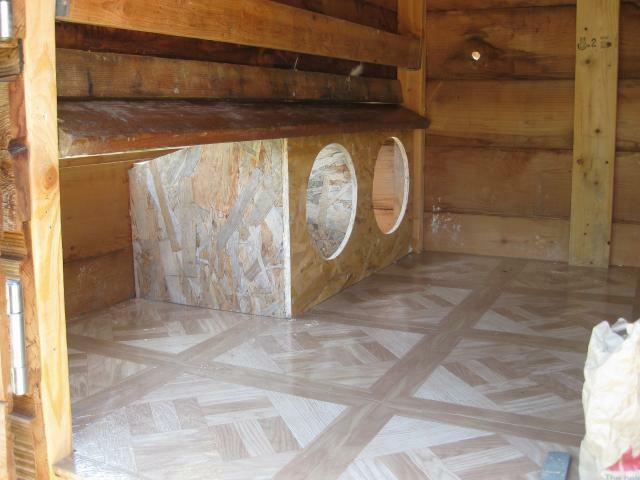 I finally finished the nest boxes...after I got the flooring in that is. Henrietta inspecting the new floor. 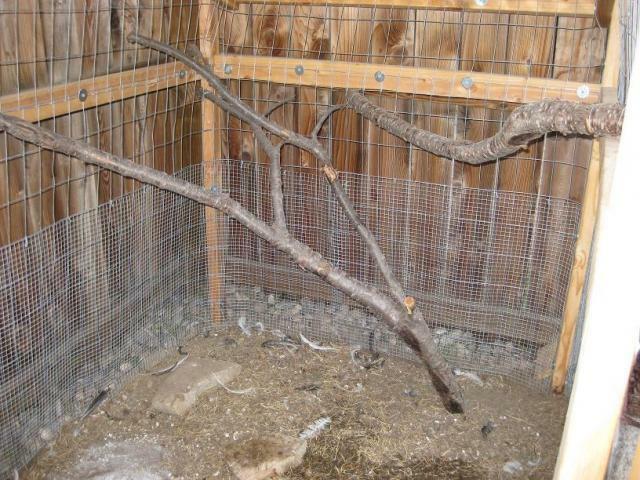 I also reconfigured one of the branches in the run to make it more perch-friendly. I hope you enjoyed the pictures of our project. It consumed me for over a month or so and with the recent rainy spring we've had, I had frequent interruptions. 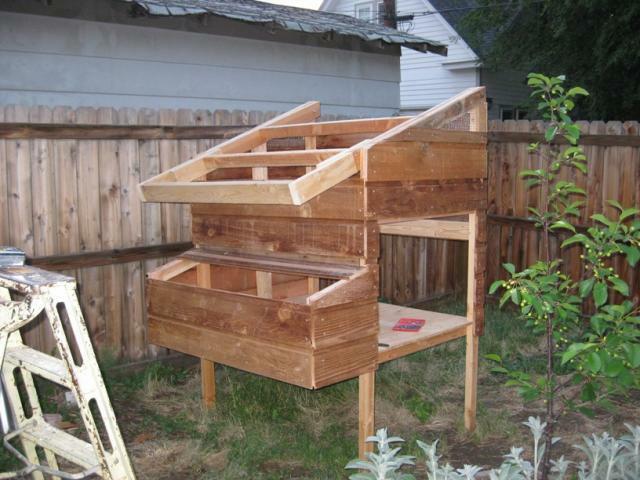 Things I wish I had done differently include making the coop and run larger and putting a larger window in. I'll probably enlarge the upper side window later this summer and fashion a board to cover it during the winter months. We got 5 chicks and I assumed one (or more) would turn out to be a rooster. Thus far, I think they're all hens, so I hope they're not too crowded. They will have access to a large fenced in 'dog run' when we're home, so that should alleviate the space from time to time. 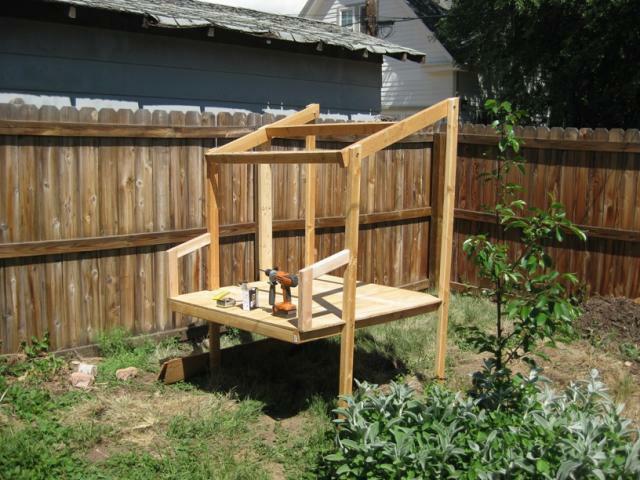 Also, I may install a 'loft' in the coop itself to add some square footage since the overhead space is fairly good. They've already got a roost in there, but I'll probably modify it in conjunction with the loft. I tried to be very mindful of predators as we have raccoons and foxes in the neighborhood. Here's hoping we will have happy and safe hens from here on out! Well, I've gotten a few comments/PMs since BYC switched over to the new server/format. Glad to see there's some interest in our little coop! I haven't updated this page in awhile, so I thought I'd include some new pics. First of all, I did end up insulating with some rigid foam insulation we had salvaged. I cut the pieces to fit each section and also cut either 1/4 OSB I had on hand or some thin particle board. Then I installed and secured with little wooden cleats. Pretty simply, really. Also, we found that our 44 sq.ft. run wasn't big enough (no surprise, really) so in the summer of '10, I more than doubled the secure run space. 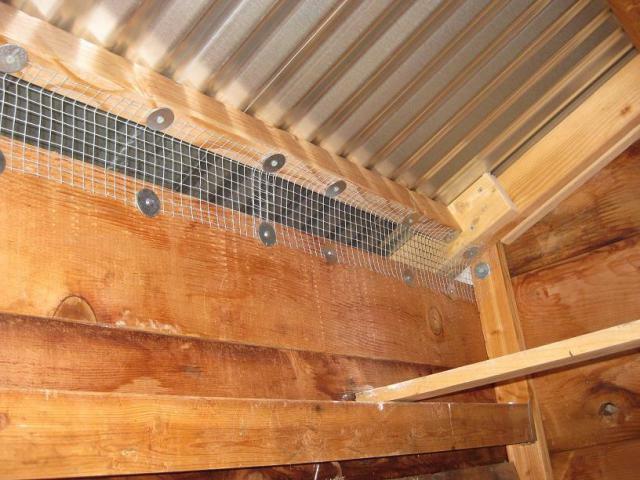 We all want happy healthy chickens, and in order to keep out hens safe from the many foxes and raccoons we have around here, we keep them locked in the secure run most of the time, so more space = happier birds! To expand the run, I simply took off the fencing panel beyond the 'person door' and extended that part out about 10-12 feet. 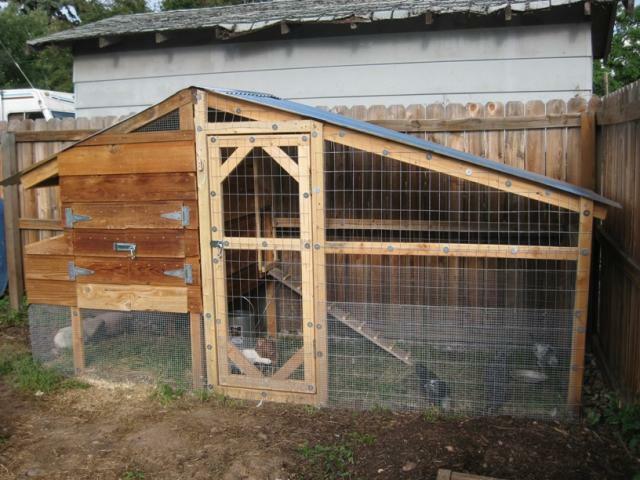 Our hens seemed much happier with the larger run space and I feel this coop is now the perfect size for our 4 hens. Incidentally, we've lost a few hens over the past few years - and each time it's been due to my own carelessness - One sunday in the spring of '10, I forgot to shut the door to the run and a fox got our California white. 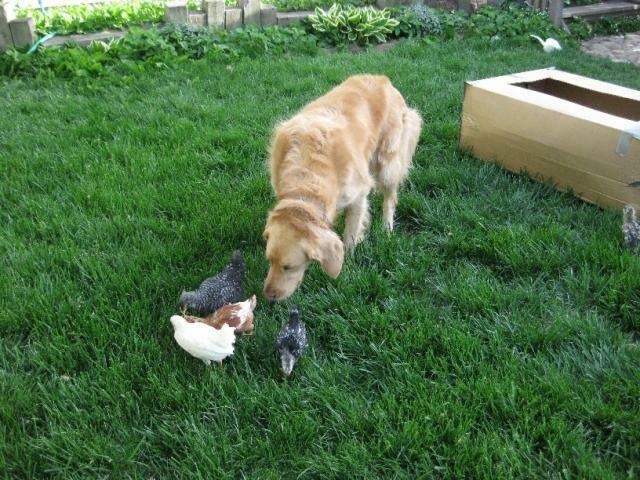 We replaced her with two Easter Eggers and we lost both of them last summer - I had left the chickens out in the 'chicken yard' during a HOT summer day and my wife had put our dog in due to the heat. A fox raided the yard in broad daylight and killed one Easter Egger and made off with the other We replaced them the next day with two pullets - another EE and a gold laced Wyandotte. I'm trying to be more mindful of shutting them into the coop at dusk now. 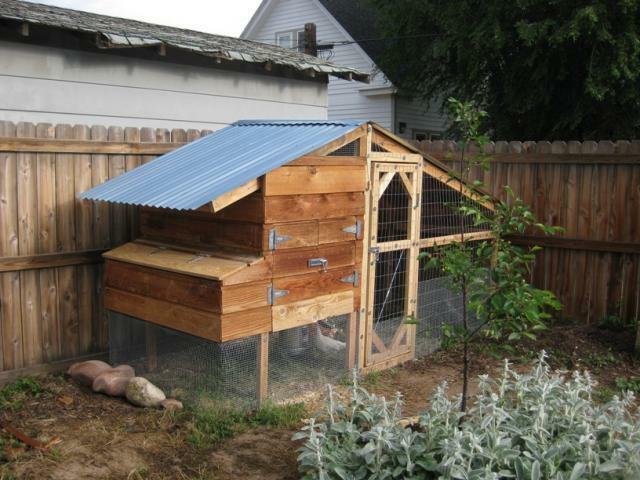 Oh, and one final note - I've had a few inquiries about the cost of materials for our coop. 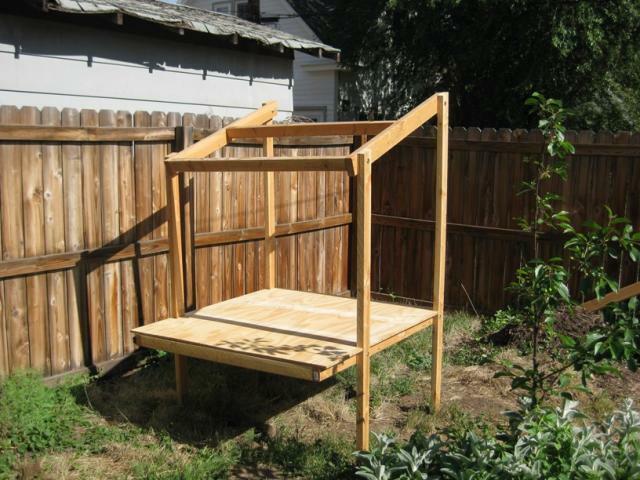 The initial build was around $350 in new materials - the most costly being the galvanized fencing. I didn't want to skimp on that given what I've read about the voraciousness of raccoons and fox. The run addition cost maybe another $150 if I remember correctly. I tried to salvage as much as I could, but needed a fair amount of new lumber for both phases, but I think the fencing/hardware cloth were the most expensive items. "Really nice "how to"! Progress pics and concise"
write-up with dimensions. Love all the updates and add-ons. Finished coop/run look great, too! Good page. I like all the interior shots. Good coop page! Needs a materials list and sketches to help others build one too. Wow your coop and run are lovely! I love the roof! 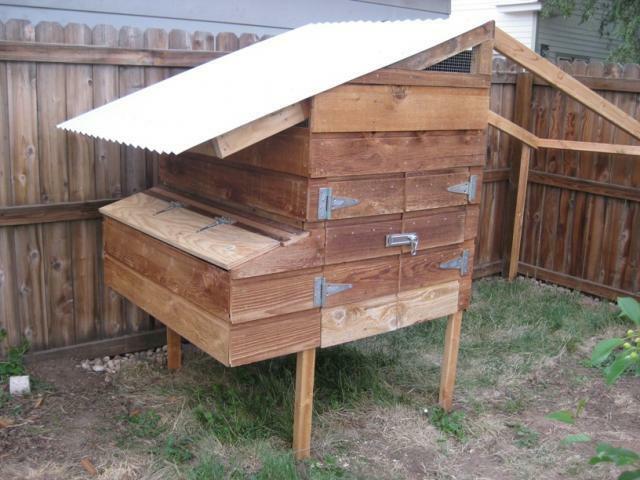 Love this coop Mike, and your wife had an excellent idea for protecting the top of the roost. 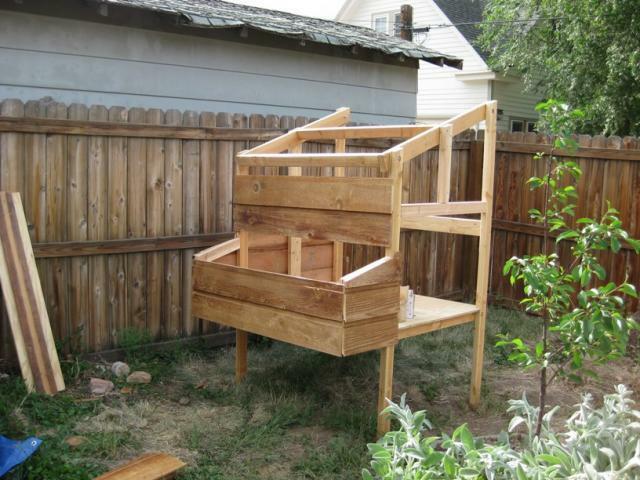 My husband and I are planning to build your coop this year so that we can get our chicks next spring. Thank you for providing all the details it will make building it so much easier. I appreciate also that you insulated, lol I'm an animal lover and was trying to convince my husband to bring the chickens in and put them in the covered porch for the winter. That idea didn't go over well. Guess you can tell we will have one or 2 pensioners hanging around after there done laying. Great job! Hi there - I cut thin OSB/plywood or even particle board that I had on hand to cover the insulation, thereby preventing access. It seems to have held up very well!